Throughout the universe, the grim visage of the mad Titan Thanos instills fear. Now he can instill fear in those who would think to take your loose change! 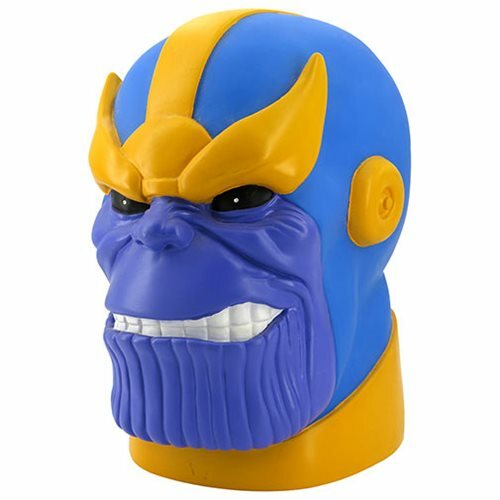 Store your riches it in this 10-inch Avengers Thanos Head PVC Bank! Your friends and family will think twice when they look upon his mighty head. Ages 4 and up.